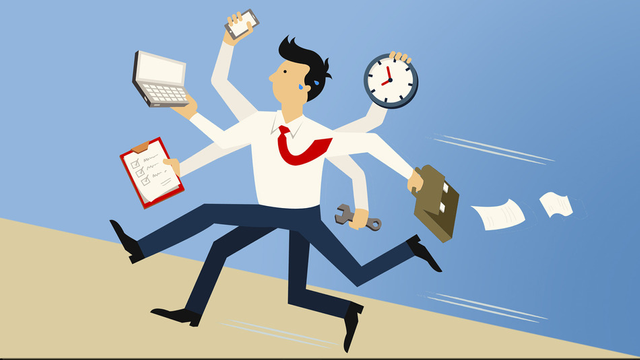 "If you want something done, give it to someone who is busy"
Being busy is the best way to become more productive and efficient. As my responsibility at work increases and as I add more balls to my juggling routine, I seem to be getting better at my job in general. Because I am so busy I have to carefully organise myself, not only has my productivity increased but I have influenced the productivity of those around me. It has also led to me developing more of a big picture outlook, therefore I have been generating a lot more ideas and business opportunities to help the wider company and our clients. And I think this article summarises this perfectly. After explaining the surge in productivity I had experienced over the last week, my friend Thomas Peters recalled an old aphorism from his father: “If you want something done, give it to someone who is very busy.” The real lesson I want to impart is not to work harder or longer. Filling your day with professional busy work or merely career promotion is not beneficial in the long run, as it focuses solely on you the individual. What is beneficial is filling your life with good, virtuous, and purpose-oriented tasks that have some “other-than-yourself” end goal. It is marvellous what you can accomplish when you focus on other people instead of yourself.